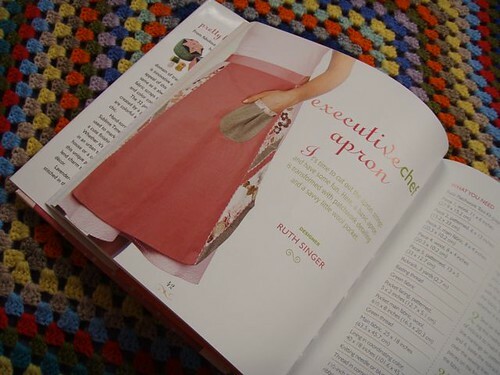 Started browsing: book is nice, I like how my apron has been photographed, probably should check the directions…..then suddenly I realise that my pattern pieces aren’t in there. No templates, no diagrams… The patchwork panels on the sides of the apron are pretty complicated (I confused myself several times) and have in-seam trim and all sorts of complicated-ness. Not even the pocket pattern made it in. What a shame! I’m not sure what went wrong, they definitely had the pattern. So I’m going to try and work out a way to make the pattern available, if anyone wants it, online, for a minimal fee to cover my costs. 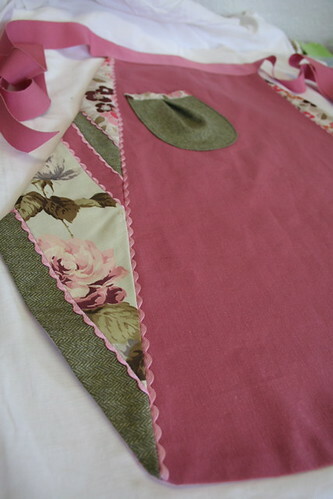 So apologies if you wanted to make this very mysterious apron! Its kind of frustrating to have a piece appear in a book with messed up directions. 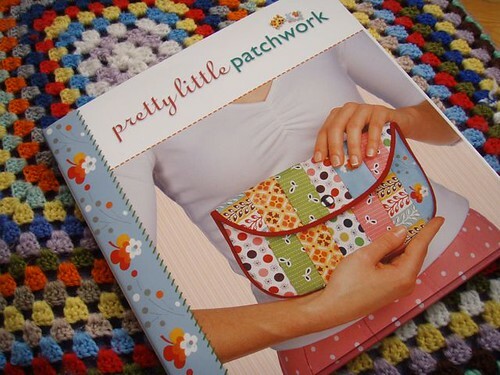 I hope it doesn’t discourage anyone from buying my own book – which has VERY thorough directions, patterns and suchlike (though I accept there are bound to be some errata and bits of utter stupidity that slipped through the *very thorough* net of my uber-editor). 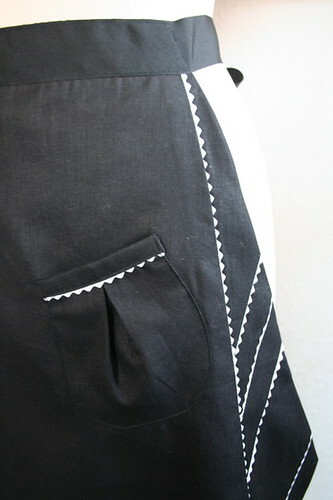 There’s another of my designs in A is for Apron, but I haven’t seen a copy of that yet, even though its been out for months. Ho hum. Oh, that makes me sad! I loved your apron when you first posted it. It sure sounds like an error on the publisher’s part; is that something that could be corrected in a second printing? If not, I’d be interested if you made it available.